This document provides directions for determining if you have a 32-bit or 64-bit version of Windows. Click on Start and then right-click on Computer. In the small menu that appears, click on Properties. 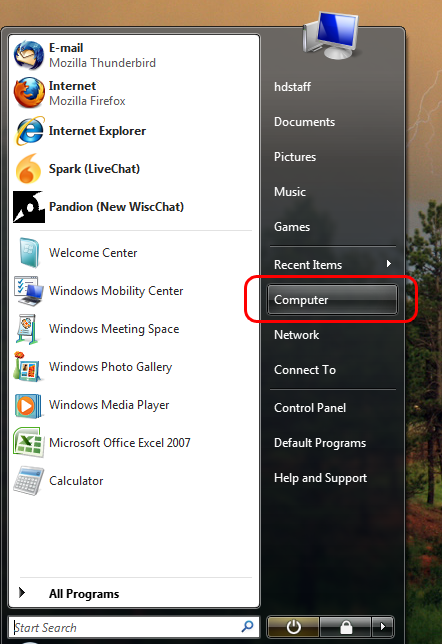 Move your cursor into the bottom left-hand corner of your screen and right-click on the windows icon (Start Menu). 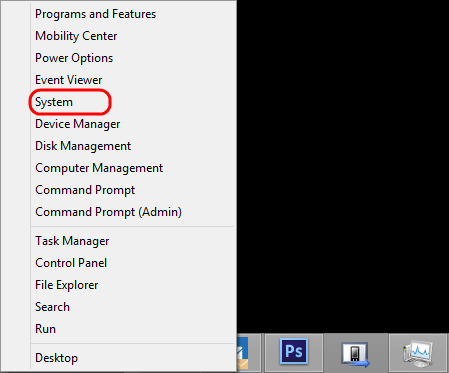 This opens the Windows Quick Access menu where you will want to select System. A new window will appear with some information about your computer. 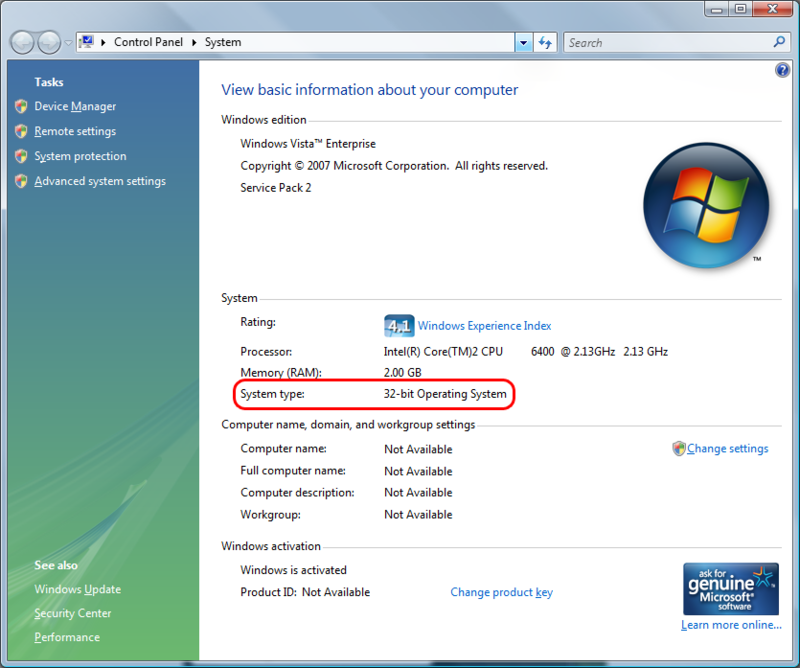 Next to the System type entry, you will see if you have a 32-bit or a 64-bit operating system.